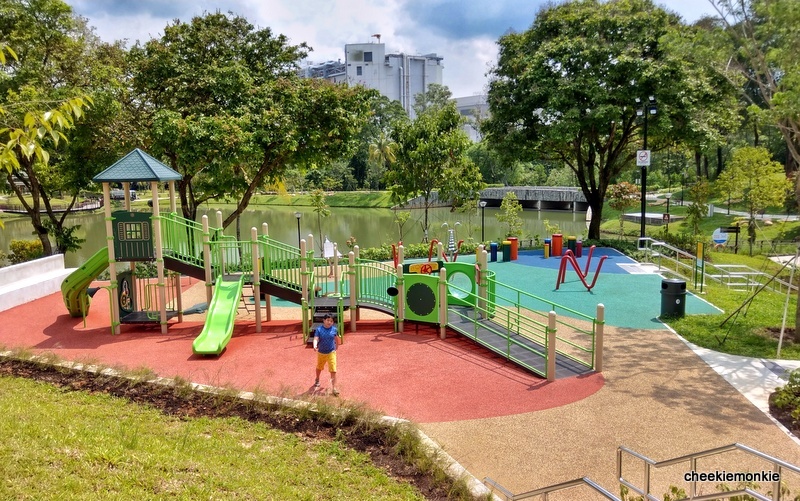 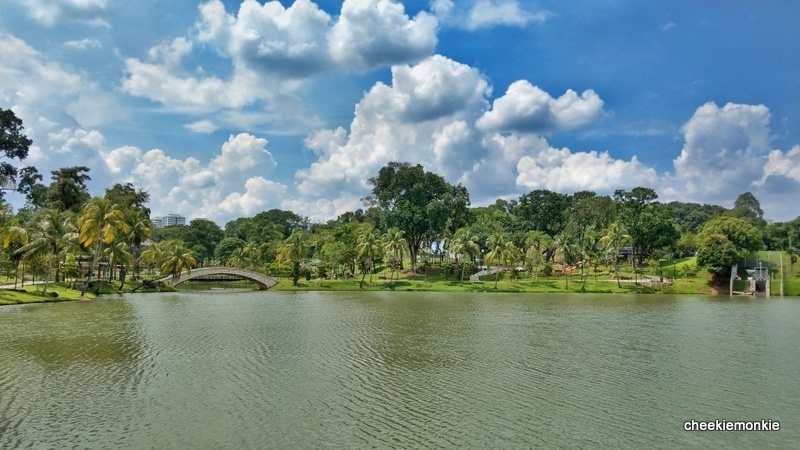 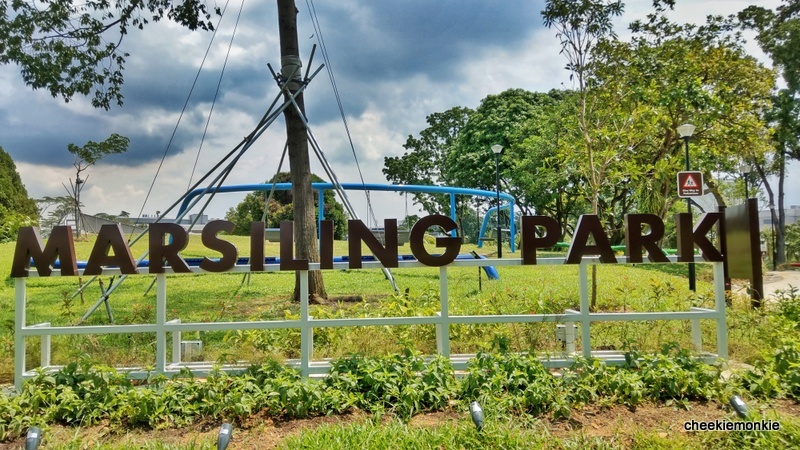 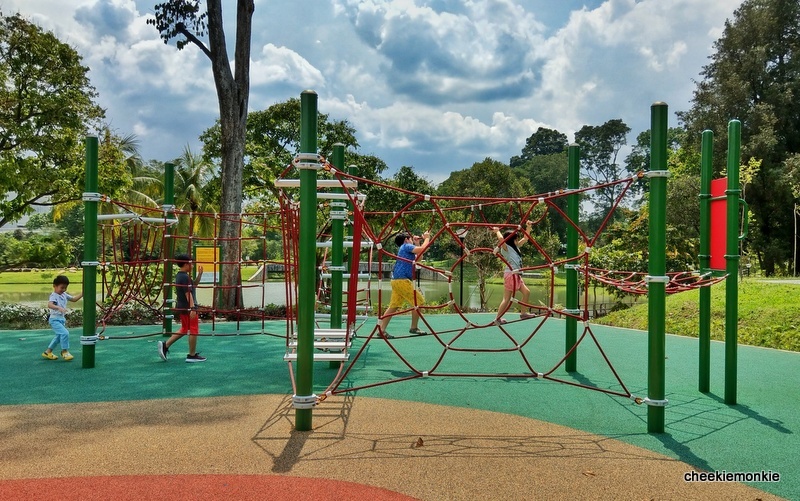 Marsiling Park re-opens with 3 New Playgrounds & a Mangrove Habitat for Kids! 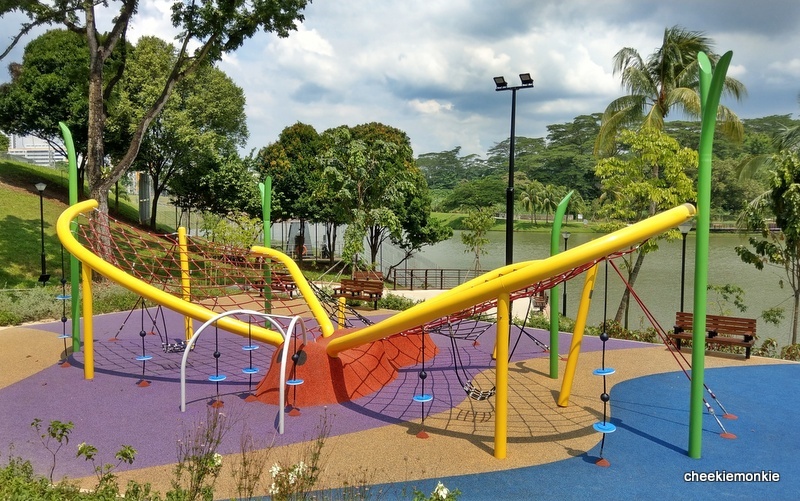 After a 22-month makeover, Marsiling Park is finally open and it features plenty of activity areas and amenities for families with kids! Formerly known as Woodlands Town Garden, the old park had a seedy reputation with dated playground equipment and dim lighting come nightfall. 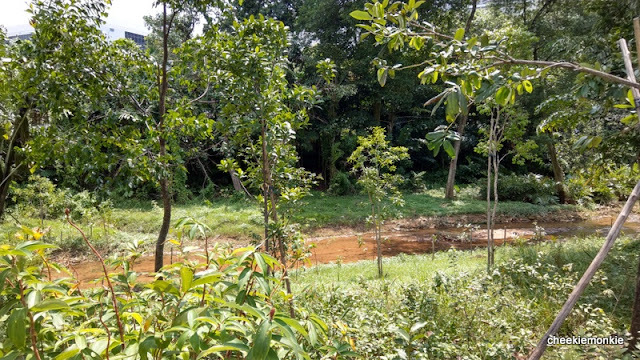 Now, just take a look at the transformation. 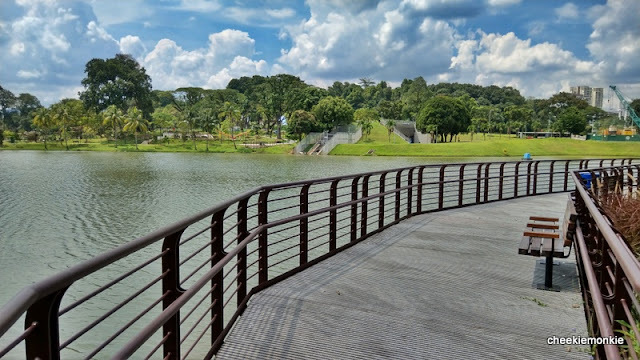 Popular elements of the park - such as the viewing tower, Chinese pavilions and stone bridge - have been retained and improved, including the addition of boardwalks which extend to the water at certain parts around the perimeter of the reservoir. 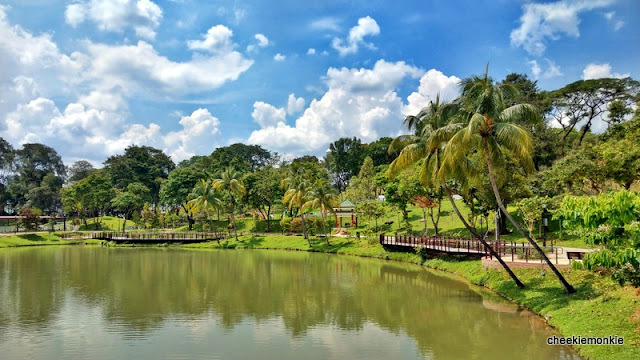 The park also features an enhanced mangrove forest with more than 1000 saplings of mangrove species, such as Api Api and White Teruntum. 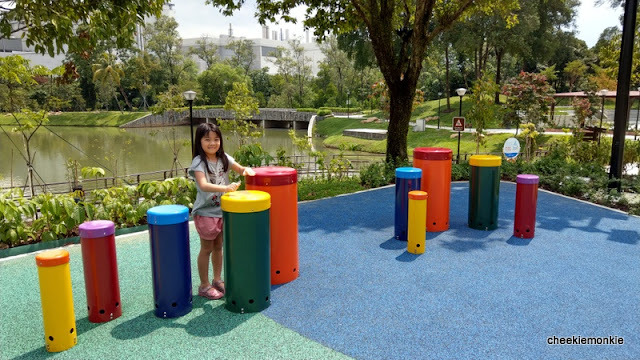 Families will be able to learn more about mangrove ecosystems, thanks to the information panels erected at the area. 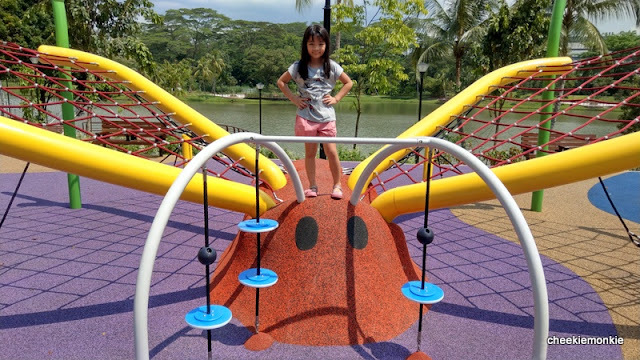 For kids (and the monkies) though, the main highlight of the park has got to be the butterfly-shaped playground with climbing ropes! This is keeping in theme with the numerous butterfly species that can be found within the park, and the playground is complemented with educational interpretive boards to let visitors learn more about these butterflies. Got younger kids? 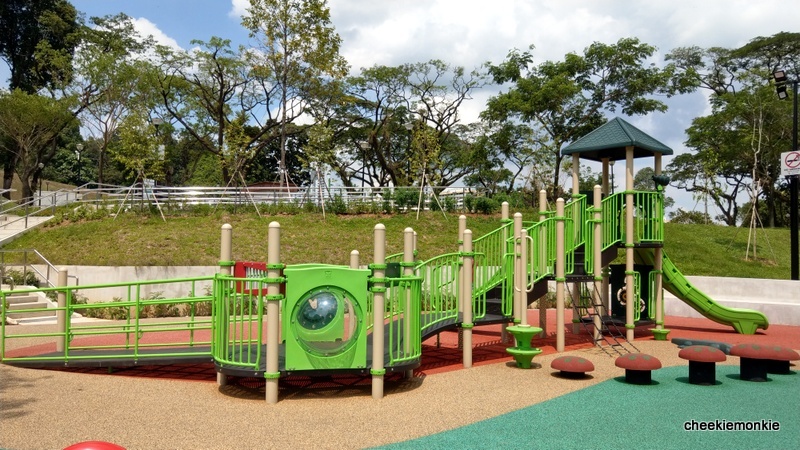 Then head to the Fun Play area located at a short walk away (nearer to the car park entrance). 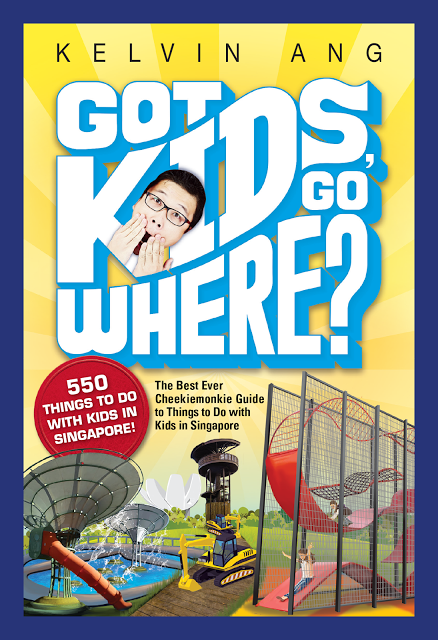 Here, kids get to hit on play equipment with musical elements for an interactive play experience. 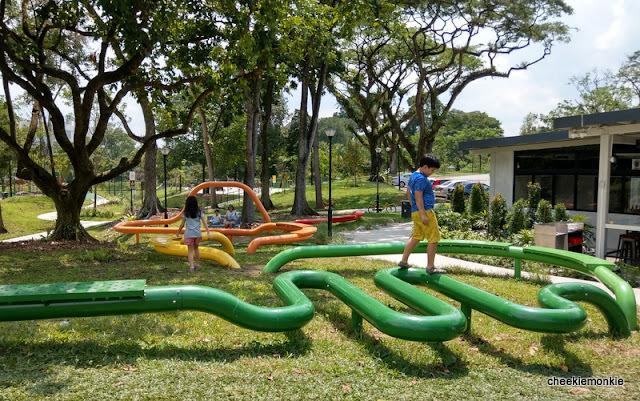 There are also several spaces for play activities, such as Ribbonscape which is a play and rest area with colourful benches located among the trees. 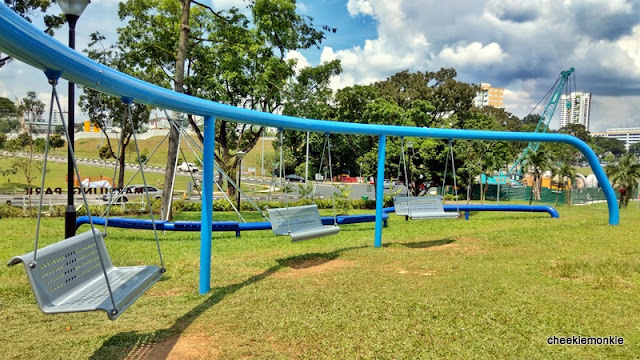 There are also swinging benches too! If you are feeling peckish after all the play, there is a 24-hour F&B outlet at the park. 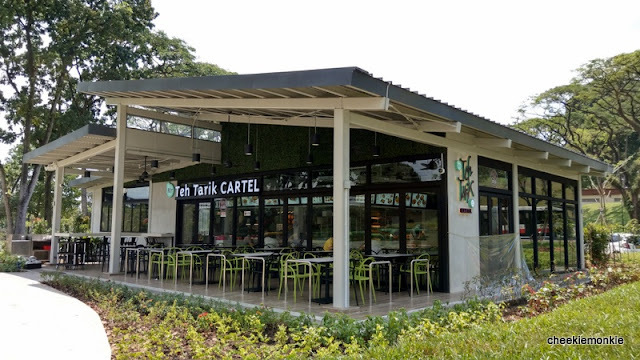 Teh Tarik Cartel serves a wide range of food, from fishball noodles and chicken rice to nasi bryani and roti prata. 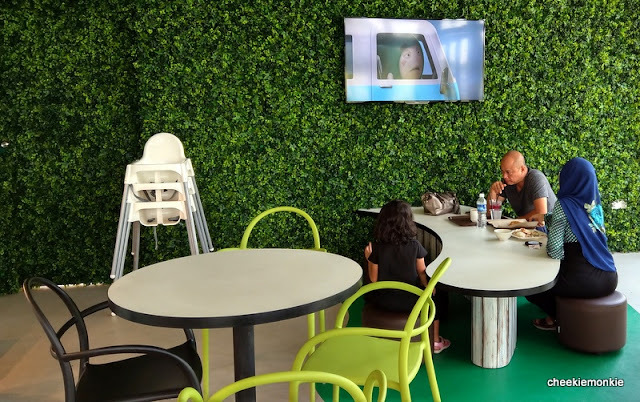 It even has a mini kids seating corner for children. 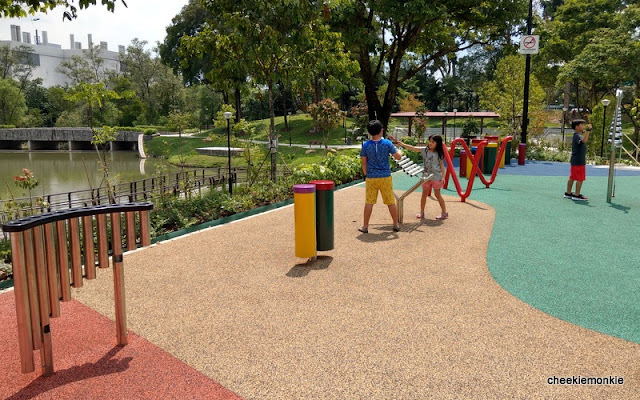 After the revamp, I have to say the park is now so much cleaner, brighter and a lot more family-friendly. Definitely worth a half-day visit if you are in the Woodlands area! 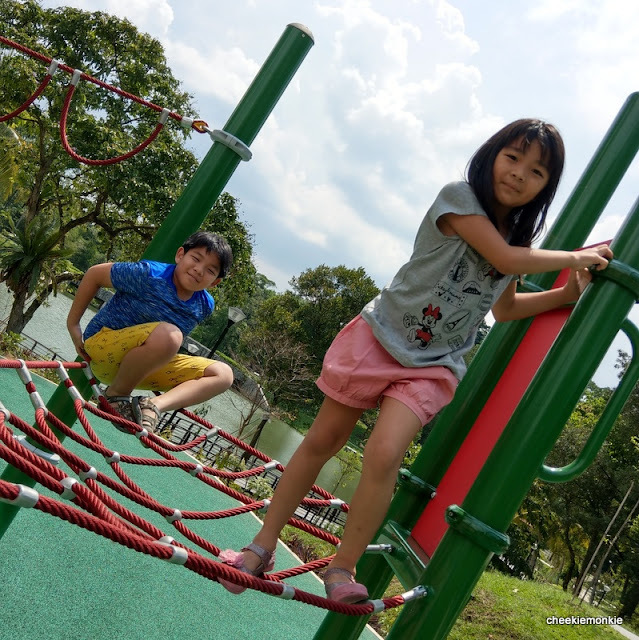 A TIP: The playgrounds are not exactly sheltered so it can get really hot if you go during the later mornings and afternoons. 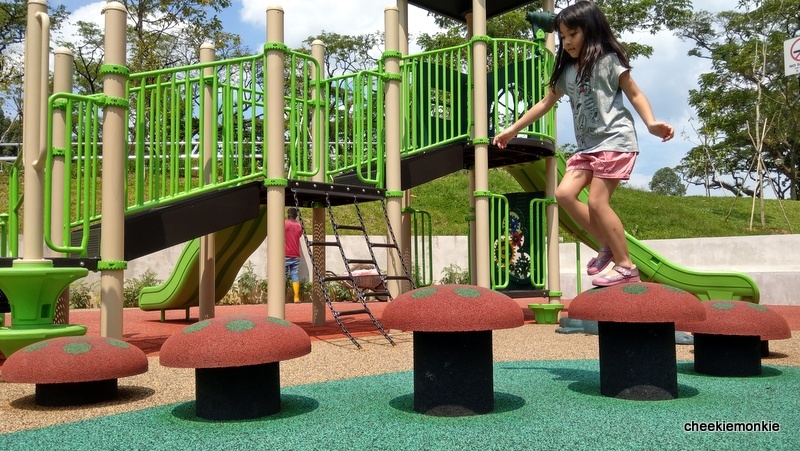 Remember to slab on those sunscreen!